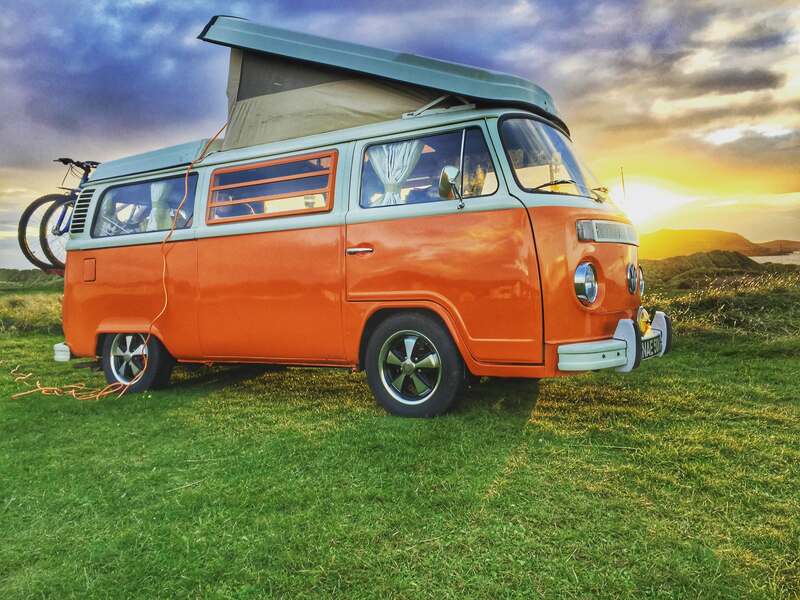 Select your VW Camper or Microbus to view their diary below. For the self-drive campers (Blondie, Lola, Agnes, Oor Wullie & Ziggy) Select the date you would like to collect after 10am & the day you would like to return by 11am. £150 to reserve, with full payment due 6 weeks ahead of travel. 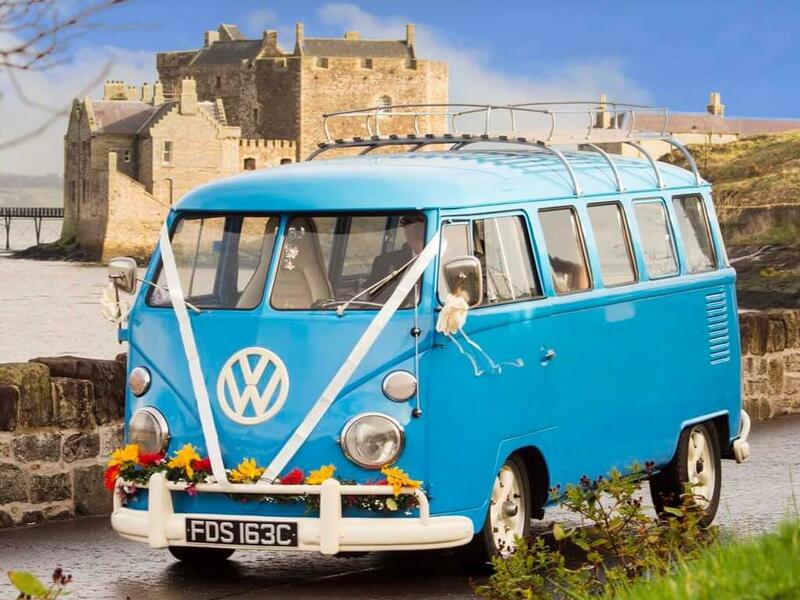 For Meg, our chauffeur driven microbus, please call or email us with your wedding or event date and all locations for a quote. £150 to reserve, with full payment 8 weeks ahead of the event. Blondie has 5 seats, she has one 3 point seat-belt in the back and two lap-belts. The front seats both have 3 point seatbelts. 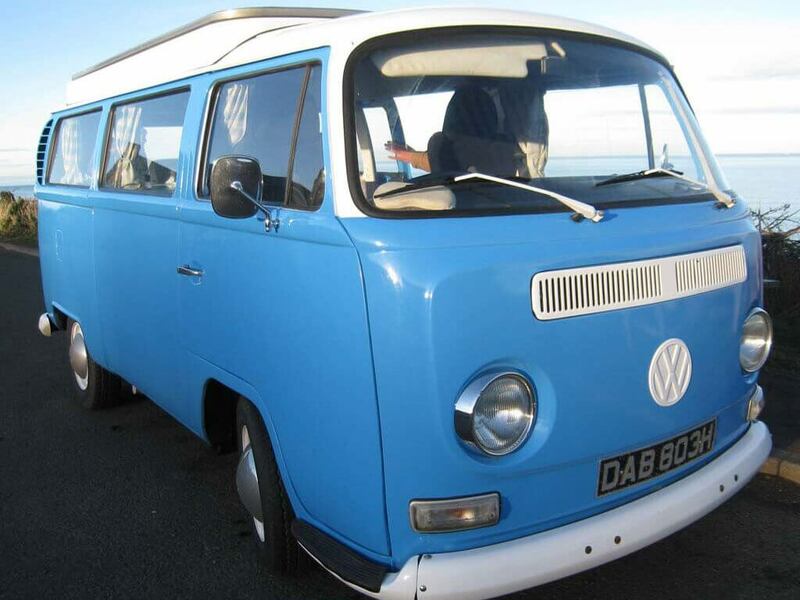 Agnes can travel 4 people, all with 3 point seat-belts, making her the perfect option for a family holiday. 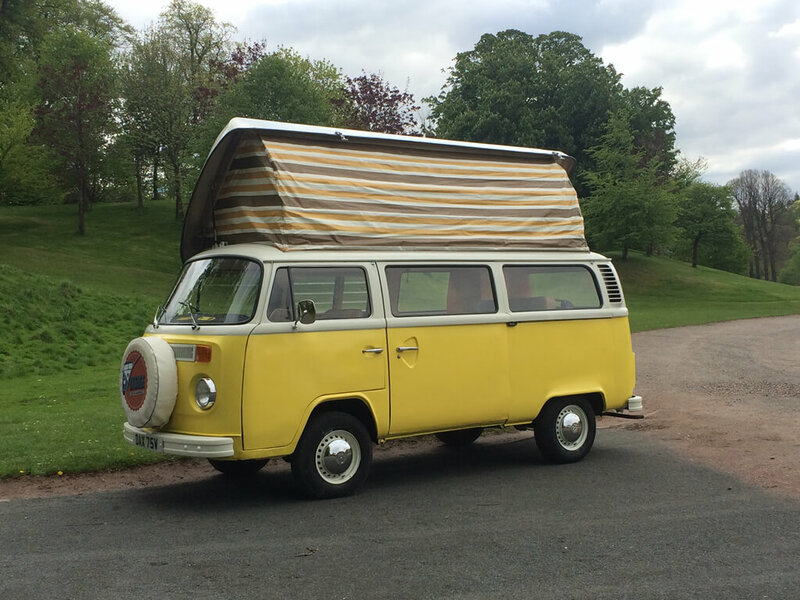 Agnes sleeps up to 4 adults (provided 2 are small, her roof bed is better suited to children) and an infant up to 35kg. She has a full width rock and roll bed downstairs, making her a good choice for taller guests. Also a bed upstairs, suitable for smaller people and an optional over cab bunk for an infant. Meg has room for 7 passengers (1 in front next to chauffeur and 6 in back). Please call or email us with your wedding or event date and all locations for a quote. 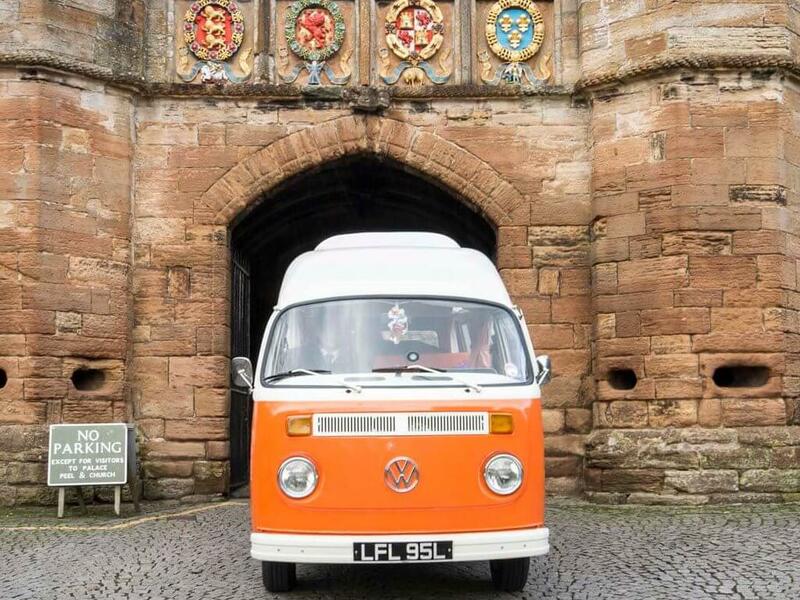 The price for our chauffeur driven microbus starts at £390, which covers a 30 mile journey from our Falkirk HQ. £150 reserves your date, with the balance due 8 weeks before your wedding or event. Four is the maximum number that can travel in Lola. She has lap-belts in the back and 3 point seat-belts in the front.